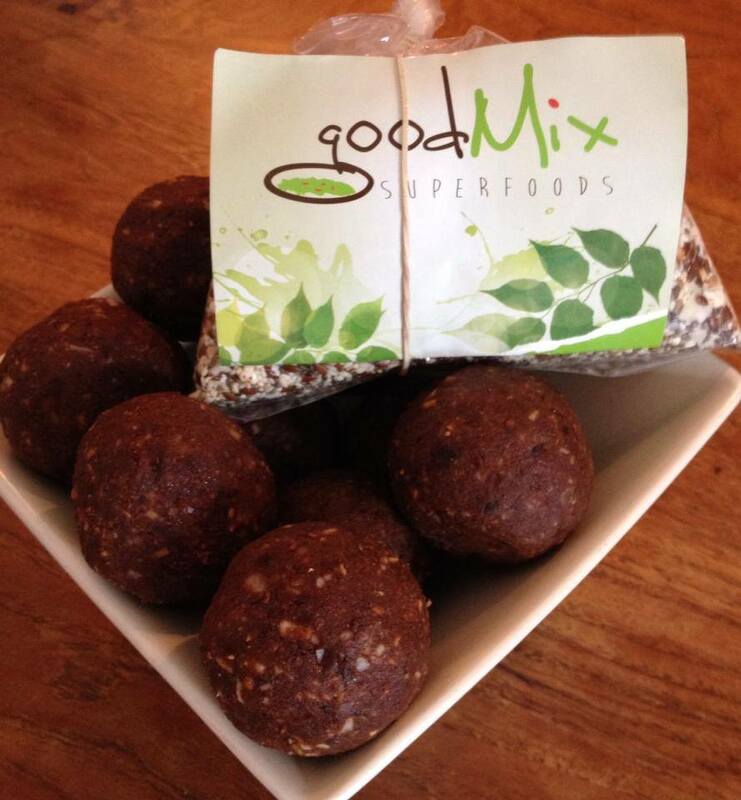 Soak dates with goodMix overnight, then chuck everything into the food processor / blender or pulverise the mix anyway you can until it tastes good & will form nice, firm balls. Add more dry ingredients if too moist, add more butter / oil if too dry, add more dried fruit if not sticky enough. Store in the fridge / freezer. Now you have a stack of extremely filling, very nutritious snacks that will satisfy your chocolate & sweet cravings without making you feel yuck. This entry was posted in and tagged Sugar free.